Home » How to create an email address using my domain name? Need to create a new email address? Let me show you how. It’s really easy and will only take a few minutes. 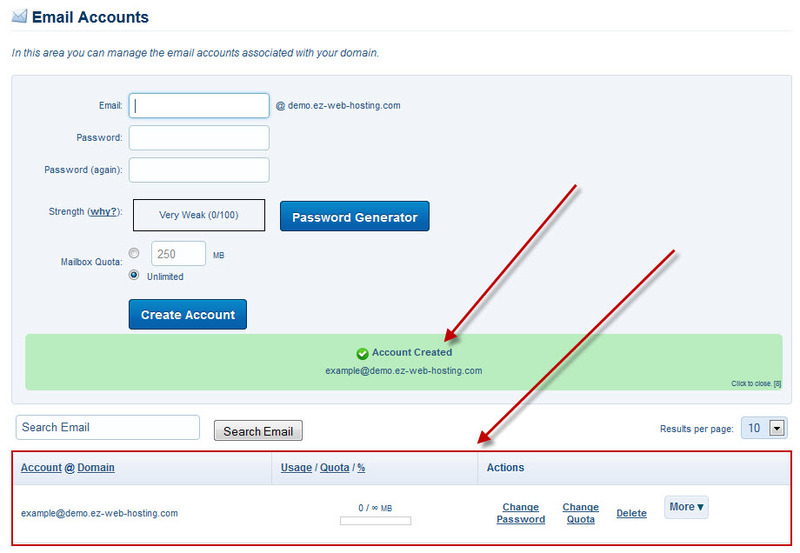 Login to cPanel then click email accounts in the email section. In the email field type in the address you want to create. 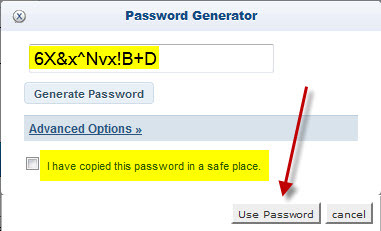 We recommend using the password generator to create a good secure password. A good password is very important to the security of the account. Copy the password then check the “I have copied this password in a safe place” check box. Then click use password. Now you can set the mailbox quota. This allows you to limit the space used by this address. You will see a green “account created” message. You will also see the email address added to your email account list. 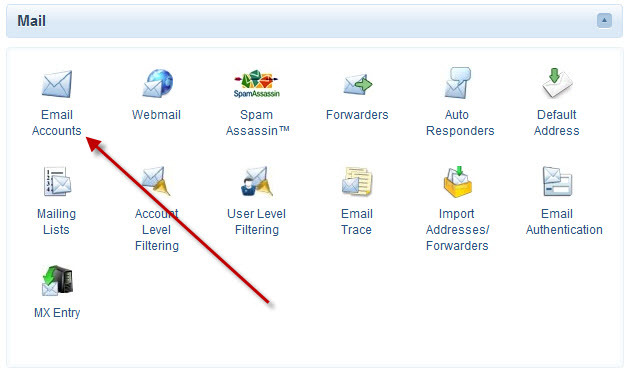 There you have the options to change the email account’s password, quota (space) limit and delete the email address. If you click more it’ll give links to webmail for this email address. It also gives a link to configure email client. That page will help you setup your email program (outlook, windows mail, Mac Mail etc) and gives all the information you’ll need to manually setup the account in any email program.